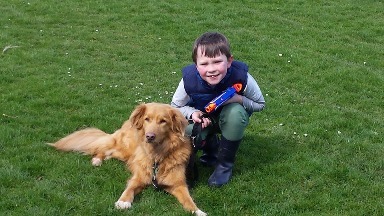 If you have a child that is interested in getting a dog as a pet, you should give serious consideration to their idea. When children grow up around a dog, there are many advantages that they benefit from. In the following post we will look at some of the most interesting. 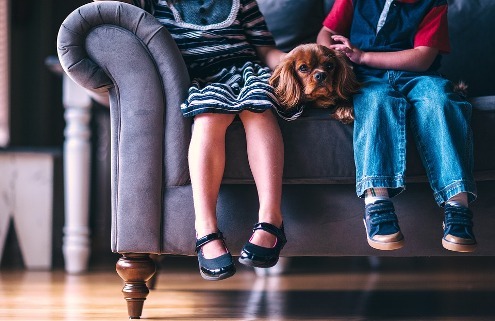 It has been discovered by scientists that children who grow up with dogs in their family are around less likely to develop asthma and other allergies. This is because they develop a sturdier immune system as they are exposed to mild volumes of various germs, which increases their immune system's ability to fight against sickness. If a child has allergies, they may want to look at hyper allergenic dogs such as Cockapoo’s. These days, it can be quite hard to encourage kids to play outside. Owning a dog though, is a simple way to achieve this. The majority of dog breeds are great companion pets that require exercise and training. It can be a huge motivator to your kids to get out and about, knowing they will be able to do so with their furry friend. Whether its a simple walk with the dog around the neighborhood or playing fetch and tug-of-war in the back garden, this can all help to encourage your children to become more active and therefore, healthier. In a recent study, the University of Montreal, it was shown that living with a specially trained service dog could help a child with autism to have lower stress hormones. Animal therapy is something that has been worked on by various scientists for a number of years, and although there is still much to find out about it, there is no way to argue with its effectiveness. As you will know if you have ever had dogs in the past, it is much like having another kid. When there is a dog in the household, it can actually have a positive effect on the relationship between brothers and sisters, encouraging them to grow closer together by reducing rivalry and jealousy and sharing love for the pet. When they share cleaning responsibilities and walking the canine friend can forge a real relationship between them. Kids that grow up with a dog in the household also develop better self-esteem, impulse control and social skills. It makes them generally friendlier. Particularly when they walk their dog around outside, as other dogs and people are likely to approach them. They can learn the value of patience and generosity by sharing a small amount of time with their dogs with others. Dogs are known for the unconditional love and loyalty they have for their owners. They are always willing to play and are the perfect confidant. This means that they are the very best friend your child could have and teach children that trusting relationships can and do exist. It is important to research which breed is right for your family. A family favorite is the Golden Doodle, who is great with children, as he will always have lots of energy to run around with them. 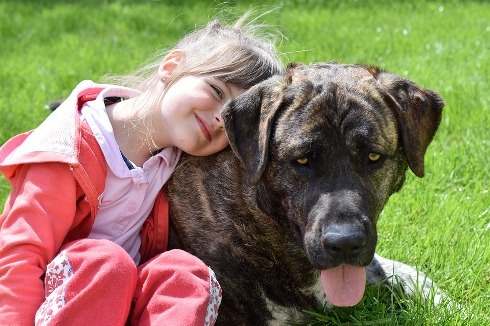 As a dog is a full-time commitment, owning one is a great way to teach children about how responsibility and dependability are important in life. They should not forget that as well as being responsible for caring for their dog's needs; they are also responsible for their actions. If they show laziness or resistance, they should be reminded that it is an honor for them to be looking after a dog and that it requires a lot of work and patience, and if they are unable to give them that – they don't deserve to be the owner of a pet.